BUIES CREEK – Jackson Ferrell of Campbell University has been named to the Top 100 Freshmen to Watch list by CollegeSoccerNews.com. 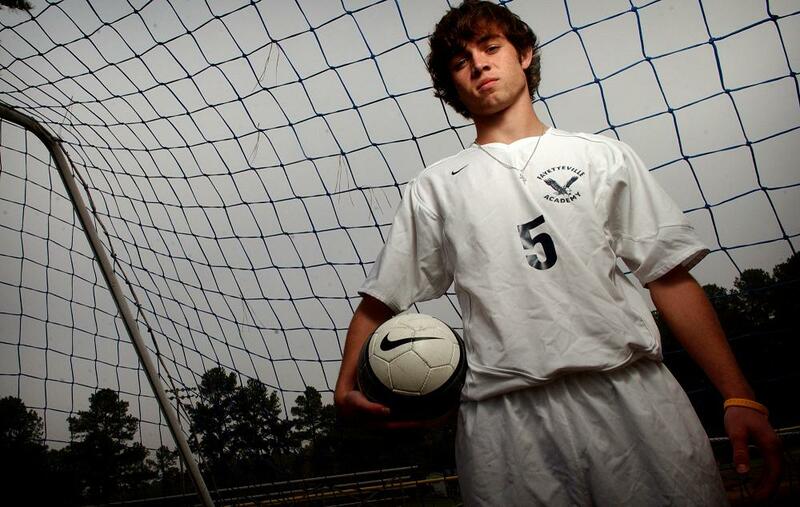 The native of Fayetteville was a two-time all-state selection at Fayetteville Academy and also completed with the North Carolina State and Region III Olympic Development Program teams as well as the CASL Chelsea USSF Academy team. A two-time all-state selection, Ferrell earned all-Cape Fear region recognition on three occasions and all-Cape Fear Independent Conference notice all four years. He was also a standout on the 91 Olympic Development Program (ODP) State and Region III teams. He led the State team, coached by Doug Hess, to a runner-up finish at the 2008 ODP National Championship. As a member of the Region III ODP team, in 2007 and 2008, he was named to the 2008 Disney Showcase all-tournament team. Ferrell played alongside fellow Camel freshman Justin Smith with the U-18 CASL Chelsea USSF Academy team, coached by former Camel standout Rusty Scarborough. That squad claimed the 2008 Disney Showcase Division Championship and clinched the Atlantic Division Championship. His father, Tony was a four-year men’s soccer standout (1973-76) and his mother, Laura (Bolton) Ferrell, was a four-year basketball star for the Lady Camels. Ferrell’s father (1976) and uncle, Mike (1978) both won Campbell’s Glen Brewster Memorial Award for leadership and courage. This morning was the second day of school for Ethan, who’s beginning life as a second grader. It was a sad morning for me. Apparently, my nearly three-year-old custom of walking him all the way into class, then, a little later, just outside the door, then last year, walking him just inside the front door has ended. He’s a big boy now, it seems, and he gets out of my Buick in the car line and walks into school alone. This wouldn’t be a big deal to most parents, whose children have long since been running through the car line. But for our family, every step in Ethan’s journey through life is one to celebrate. It’s not just because he lives with Autism. It’s the fact that, together with the help of his family, teachers, doctors and specialists – and a ton of hard work on his part – Ethan has already exceeded the expectations that his diagnosers had for him. They said he wouldn’t ever read. They said he may never speak. I remember how I felt that day, watching my little boy sit on the floor and play with blocks while people I didn’t know carpet bombed my world. It was a little like a dream, where you’re kind of floating a few feet above yourself, trying to intervene. We’re a long, long way from that. What we’re not a long way from is beating Autism. 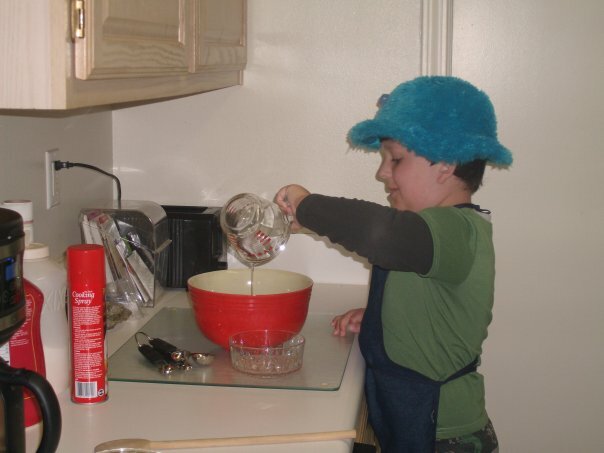 I’ve learned that, as far as Autism goes, we’re among the lucky ones. Trust me, it takes a dramatic shift of perspective to reach that plane of thought. Call me greedy, but I’m still looking to wipe Autism off the face of the earth. Enter the Autism Society of North Carolina. The 2009 Triangle Run/Walk for Autism is set for Oct. 10 at Moore Square in Raleigh. Join us for the 5K run or walk. I’ll be walking, thank you very much. You can buy a handful of bracelets for that, and those little pieces of rubber – like the one I wear – are great conversation starters for people who are curious about what Autism means past the “Rainman” stereotypes. 1. The soccer preview is slated to run early next week. I’m in the process of gathering team previews. I sent e-mails to all the local coaches and I have responses from South View, Pine Forest, E.E. Smith, Fayetteville Academy, Hoke County, Douglas Byrd, Seventy-First and Cape Fear. That means I don’t have everyone else. 2. Here’s the latest N.C. Soccer Coaches Association poll. Coming off one of the best seasons in its Division I era (since 1977), Campbell University faces the challenge of replacing a number of key individuals from a unit that has been the most successful of any team in the Atlantic Sun Conference over the last four years (2005-08). The Fighting Camels concluded the 2008 season with a 14-6-0 (.700) overall record as well as their first-ever year-end national ranking and highest South Region rating in the program’s Division I era. Soccer America ranked the Camels number-25 in its final 2008 poll, while CU was rated third in the always-tough South Region by the National Soccer Coaches Association of America. Over the past four years, Campbell has won two A-Sun regular season championships (2005, 2008), one A-Sun tournament title (2007), and made the school’s first appearance in the NCAA Division I College Cup (2007). The Camels have been ranked in the South Region in each of the last four seasons and have compiled a 50-25-6 overall record (.654). The Camels also own the best A-Sun regular season record (25-4-4, .818) of all league members since the start of 2005. It’s right there in black and green on the show’s Web site. World Soccer Daily is no more. Friday’s show was the last one they’ll be making, and to be honest, I don’t have the heart to download it. “The hate and threats that has been raging from the Liverpool contingent in the last five months, for me it’s over. I’m not going to put my family in this position any more,” show founder Steven Cohen said in Friday’s final show. I can’t decide how to feel here. I am a relatively new fan of the beautiful game. Sure the World Cups have been getting my attention since USA ’94, but I’ve only really caught the soccer bug over the last three years or so. And the day after I got my iPod, I went on iTunes in search for a soccer show. World Soccer Daily was there, front and center. 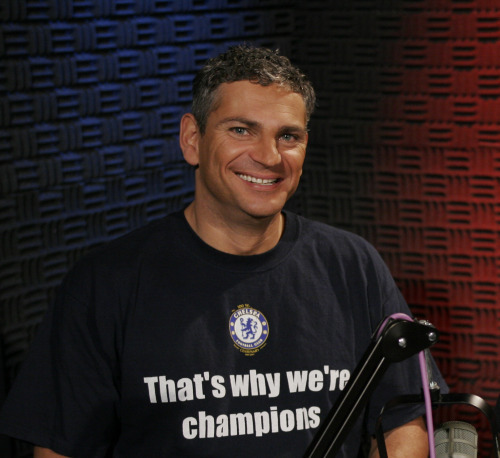 Cohen and his co-host, Kenny Hassan, helped build my knowledge of the English game, it’s players, culture and history. For countless hours of entertainment, a few good natured e-mails and helping to foster my love for the game, I’ll be forever grateful. But the reason the show is dead, Cohen’s war of words with Liverpool supporters, ticks me off. He’s a Chelsea supporter and a Liverpool hater. Three minutes worth of listening is all it took to get those two things sorted out. But his contention that “thousands of ticketless Liverpool fans” caused the death of 96 people in the Hillsborough Disaster– a contention that runs in direct opposition to the English governement’s Taylor Report – has riled Liverpool fans on many occasions. The most recent led to a worldwide boycott by Liverpool FC fans of the show and all of its sponsors and the tensions between Cohen and the boycotters has been rising ever since. The fact is that he’s wrong. I know that all government reports aren’t gospel. I’ve read the Warren Commission report, for one. But the Taylor Report recommended all-seater stadiums and reforms on barriers and crowd control at matches while absolving fans from blame for the incident. I wasn’t there. I don’t know what happened. So that report is all anyone who wasn’t there has to go on. In that light, his blaming supporters of a club for the horrible and painful deaths of 96 of their own fans is out of bounds. This is America, home of free speech. I’m a reporter, so there is no greater supporter of the First Amendment than I am. But a sincere apology, rather than the laughable, read from a prepared statement then ball it up on microphone approach that Cohen chose, might have ended this nonsense. As a radio host, he got paid for his opinions. But those opinions invoke other opinions. And when they clash on such a deep and personal level, boycotts, angry e-mails and letters to image-conscious sponsors ensue. At the end of the day, passion, one of the things I love most about soccer, is what killed my favorite radio show on the subject. Steven Cohen is a stubborn, prideful man. And that pride was his downfall. It’s why he’s gone from Fox Football Fone-in. And it’s why there’s no Monday, August 24th edition of WSD for me to listen to tonight. The death of this show, and the up-in-the-air status of my other favorite program, Special1TV, is clouding what should be a glorious time for U.S. soccer fans. We have EPL games in HD on ESPN! That’s awesome! But we still need someone on the airwaves, fostering interest in the sport. I knew everything there was to know about football, baseball, basketball and tennis when I tuned in to WSD for the first time in 2008. Thanks to them, I can hold up my end of an intelligent conversation. Thanks to them, I read Chuck Culpepper’s excellent book, “Bloody Confused.” Thanks to them, I play “I Know the Score,” I know who Tim Vickery and Martin Tyler are and, thanks to World Soccer Daily, every so often, I call soccer by its proper name, football. Some place where pride and hate can’t spoil the beautiful game. Some Liverpool supporters are claiming victory today. But really, the only thing the death of WSD proves is that pride can kill anything. And love him or hate him, Cohen’s show leaves a gaping hole in the media landscape that American soccer fans are now looking to fill. BUIES CREEK – Vince Petrasso, shown above, and Jason Keever have been named to the Atlantic Sun Conference men’s soccer pre-season all-conference team, while Campbell University is predicted to finish second in a poll of league head coaches released Thursday. The 2009 poll marks the fourth-straight year that Coach Doug Hess’ squad has been chosen either first or second in the A-Sun voting. Campbell was on top of the 2006, 2007 and 2008 polls. The Camels won the A-Sun tournament title in 2007 and claimed last year’s regular season crown with a perfect 9-0-0 record. Jacksonville, which rallied for a 4-3 win over Campbell in the 2008 A-Sun Championship final, was chosen as the league favorite with 92 points and six first-place votes. Campbell (85 points, 2 first place) was second, followed by Lipscomb (78) and Stetson (72), both of which were picked on top of one ballot each. Belmont (60), Florida Gulf Coast (55), East Tennessee State (36), North Florida (33), Mercer (22) and USC Upstate (17) rounded out the poll. The 2008 Camels became the first-ever A-Sun school to finish a men’s soccer season with a 9-0-0 regular season record. Despite a 4-3 loss to second-seeded Jacksonville in the A-Sun final at Buies Creek, Campbell earned its 12th conference final appearance since the Camels won their first Division I league title in the 1984 Big South tournament. Since joining the A-Sun in 1994, Campbell has reached the men’s soccer final five times. Over the last four years, CU won two A-Sun regular season championships (2005, 2008), one A-Sun tournament title (2007), and made the school’s first appearance in the NCAA Division I College Cup (2007). In addition, CU led the conference in attendance for the third time in four seasons. The Camels have been ranked in the South Region in each of the last four years and have compiled a 50-25-6 overall record (.654). The Camels also own the best A-Sun regular season record (25-4-4, .818) of all league members since the start of the 2005 season. In addition, the Camels received their first-ever, year-end national ranking (No. 25 by Soccer America) and finished third in the final South Region poll. A senior midfielder/forward from Woodbridge, Ontario, Petrasso was the lone A-Sun player named on each ballot for the pre-season all-conference squad. He was a first-team A-Sun all-conference performer in 2008 when he ranked fifth among league leaders in goals per game (0.47) and seventh in points per outing (1.13). He netted career highs of 17 points and seven goals over 15 contests. He finished fourth in the A-Sun with three game-winners. Four of his goals and two assists came during his eight conference regular season appearances. Petrasso produced game-winning strikes in consecutive matches against Stetson and Florida Gulf Coast, while also providing the deciding goal at High Point. Keever, a senior forward from Trinity, N.C., and Wesleyan Christian Academy, adds pre-season A-Sun recognition to his second-team all-conference honor of last year. He was one of five Camels to produce double-digit points in 2008. Keever scored six goals in 20 games (12 points) and notched winners against UNC Wilmington and North Florida. He ranked 10th among conference leaders in goals scored. Lipscomb forward Miguel DaSilva, who led the league with 29 points on nine goals and 11 assists last season, was named the 2009 pre-season player of the year. Jacksonville and Lipscomb placed three players each on the pre-season all-conference unit, while Campbell and Stetson were represented twice each. Campbell opens its pre-season schedule Saturday in a 7:00 p.m. kick-off at Coastal Carolina. The Camels host Elon on Tuesday (Aug. 25) in their final exhibition contest. Campbell opens the regular season Sept. 1 at defending Colonial Athletic Association regular season champ UNC Wilmington. Once upon a time, there was a band of brothers fighting for supremacy in the frozen north. They proudly wear purple, unconcerned about how unmanly a color it might be. After all, it matches any appendage with frostbite. There are constantly at war with other tribes, as fierce as Lions and as terrifying as Bears. And there were those guys with the big “G” on their armor, whom they really hate. For many years, those Nordic warriors have toiled in near obscurity. Sure, they’ve come close to climbing the mountain before, only to slip and fall along the way in search of the great Lombardi trophy. But, in the end, only the bitter winter chill can match the feeling of this tribe of Vikings as – year after year – they watch someone else wear the crown. Brett Favre joined the Vikings. Cue the trumpets. Get me a brass band in here. I need baton twirlers, ASAP! Do you not understand what this means? The Vikings, long the forgotten step-child of the NFC North, can now shine. Well, for starters, the Vikings are now the clear favorites to win the North. And, for my money, they have the inside track to playing in the Super Bowl. I don’t know if they can beat New England, Pittsburgh or San Diego. And I really don’t care. All I know is that there will be much feasting in the land of the frozen north today. Their knight in shining armor (if Wranglers can really be described that way) has come. There is much wailing going on all over the known world. Why has the former general who so proudly represented the “G” all those years joined their most hated rivals? Is it glory? Fame? The chance to make more Wrangler commercials? Favre wants to emulate another great general, the might Elway, who won two Lombardis by turning around and handing the ball to someone else and then, flashed a smile as big as the Rockies and rode off into the sunset. That’s right, it’s Premier League time again. What soccer blog worth its salt wouldn’t have a preview on the best league on the planet? And even some of the ones that aren’t worth their salt – like this one – will end up taking a stab at it as well. I have changed my answers to all of these multiple times. These aren’t my definitive picks, just what mood I happened to be in when I hit send. It will be very tight at the top. I could see the top 3 still being in it on the last day of the season. Looks like a toss-up, really. A bigger club could well take a nosedive. Portsmouth are definitely in danger and Burnley could find themselves all at sea. But you have to think these three will struggle. This will probably have as much to do with ownership change as poor results, but still. This category, more than the others, is subject to the whim of the injury list. Bjorn Helge Riise for £1.5m could prove to be a very shrewd move on Fulham’s part. Best sale has to be 18m for Roque Santa Cruz, who can’t seem to alight the team bus without getting hurt. One of the things I wanted to do while on vacation in New York City was check out Nevada Smith’s. And since I’m stuck at LaGuardia Airport waiting for a flight back to Raleigh that’s already 50 minutes delayed, I’ll go ahead and tell you about it. I actually left the Wednesday matinee between the Yankees and Blue Jays early (beautiful stadium, I must say) to get to the bar early. I walked in at about 2:30, thinking that I’d be able to grab a stool or table somewhere. I grabbed a drink from the bar where a Scotland fan sat with his head in his hands, bemoaning the Scots’ 4-0 thrashing by Norway that just went final. His girlfriend, also wearing a Scotland shirt, was explaining how tomorrow would be a new day. Her boyfriend never looked up while washing that bit of wisdom down with a beer. Downstairs, England fans groaned when a backpass went awry, allowing Dirk Kuyt to put home an easy goal to put the Dutch ahead 1-0. A quick check of my Blackberry tells me that England and Holland ended up drawing 2-2, a fact that had escaped me until today. Why? Because at about 3:30, the upper floor was full of fans, forcing me up into the right-hand corner, close to the bathroom and even closer to a young girl wearing a Chivas shirt, a guy from Bolivia and enough U.S. fans to fill a supporter’s stand somewhere. You see, I’m a bit of a newcomer to this whole soccer thing. I love the game deeply, but really, aside from World Cups, I just started following the game about two years ago. And I’ve always wanted to sing songs and cheer manically when my team scores. Some were funny. Some I didn’t join in on and won’t repeat here. And one of them, I recorded for fun. When Charlie Davies’ scored in the early going to put the U.S. ahead, it was like 300 people hit the Powerball lottery at the same time. I slapped hands with guys I didn’t know. The dude from Bolivia congratulated me. And some other guy hugged me. And the rest of the bar. Of course, Mexico ended up winning 2-1. But I’ll never forget my first soccer pub experience.